Microsoft continues to impress us. It’s hard to keep up with a company that cares a lot about quality and invests time and sweat in order to make the perfect product. 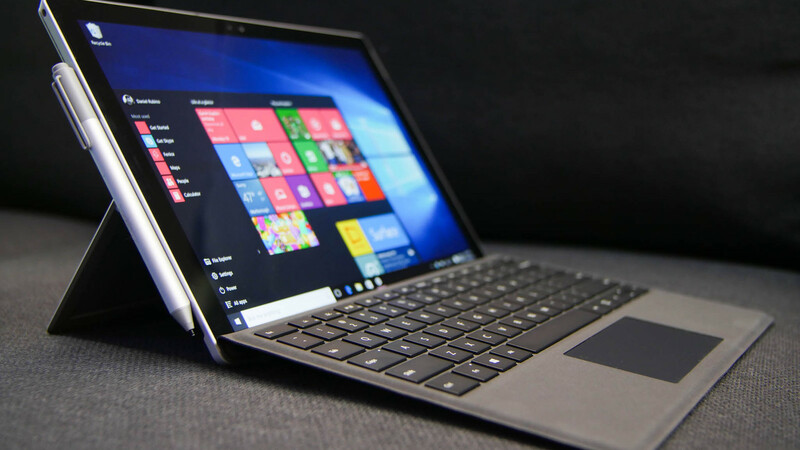 Yes, the Surface Pro 4 is the best gadget that Microsoft could come up with, and this 2-in-1 tablet inspired other rivals to build similar devices. To give you an example, Apple has worked on a bigger tablet, with more powerful specs, and which can be connected to a physical keyboard. The difference between the Surface Pro 4 and the iPad Pro is that the latter doesn’t include the stylus in the box, so you need to purchase it from Apple’s store. But this tablet runs on iOS and its applications are limited. The advantage of having a Surface Pro tablet, regardless of which generation belongs to, is that it runs on Windows 10 and you can run applications that have been created for PCs, such as Office. But, if you want to learn more about the latest Surface Pro model, below you’ll find a detailed review. The fourth generation Surface Pro was officially released in November and it’s slowly reaching the world. At its launch, Microsoft has highlighted three important advantages of the Surface Pro 4, referring to its performance, which is vastly improved compared to the previous tablet. Also, the device comes loaded with Windows 10, which introduced a new facial recognition feature called Windows Hello, which adds a superior enterprise-level security that keeps the content secure. Also, the Surface Pen has been redesigned and it packs 1,024 levels of pressure sensitivity, with which you can write directly on the screen, on web pages that are opened with the Microsoft Edge browser etc. Cortana is also very useful, as this personal digital assistant will provide information when you need to be extracted from the internet. Just say the voice command and Cortana will search on the Microsoft Edge for that key-word. In terms of design, you’ll see that the Surface Pro 4 is thinner than its predecessor, measuring now 8.4mm instead of 9.1mm, and it’s also lighter (766 or 786 grams instead of 800 grams). Also, the screen has a thinner bezel, which allowed Microsoft to make the diagonal longer at 12.3-inch, instead of 12-inch, while the resolution has been increased from 2160×1440 pixels (216 ppi) to 2736×1824 pixels (267 ppi), but the aspect ration has been kept at 3:2. The previous Surface Pro 3 came with an eDP ClearType HD screen and Microsoft has replaced it with a Pixel Sense display on the Surface Pro 4, but it has the same 10-point multi-touch. The screen of the new model supports 5 million pixels and covers 100 percent sRGB color Gamut. And PixelSense is a new technology which is capable of detecting the difference between pen input and a fingertip, and depending on the type of input detected, it optimizes everything. As for the keyboard, which costs $160 on the Microsoft Store, is 40 percent bigger and has a fingerprint scanner integrated into it. Now, let’s move onto the next chapter: hardware configuration. The Surface Pro 4 is 30 percent faster than the Surface Pro 3 and 50 percent faster than the MacBook Air laptop. Microsoft has used the latest generation Intel SkyLake chipset family, which consists of three variants of processors: Core M3, Core i5 and Core i7. Microsoft is offering a variety of hardware configurations and the weakest option has a price of $899, while the model with the best specs can cost even $2,699. Below, we’ll tell you about the available options that the Surface Pro 4 is offering. Intel Core i7 with 16GB of RAM and 1TB of storage – $2,699. The Surface Pro 4 supports the same connectivity options likewise its predecessor: Wi-Fi, Bluetooth 4.0 LE, USB port, microSD card port and display output. 4G isn’t available, not even as an option, unfortunately, and neither the USB Type-C port wasn’t added, so the fans are a bit disappointed. The tablet has a Windows Hello-compatible camera and the battery lasts up to nine hours.